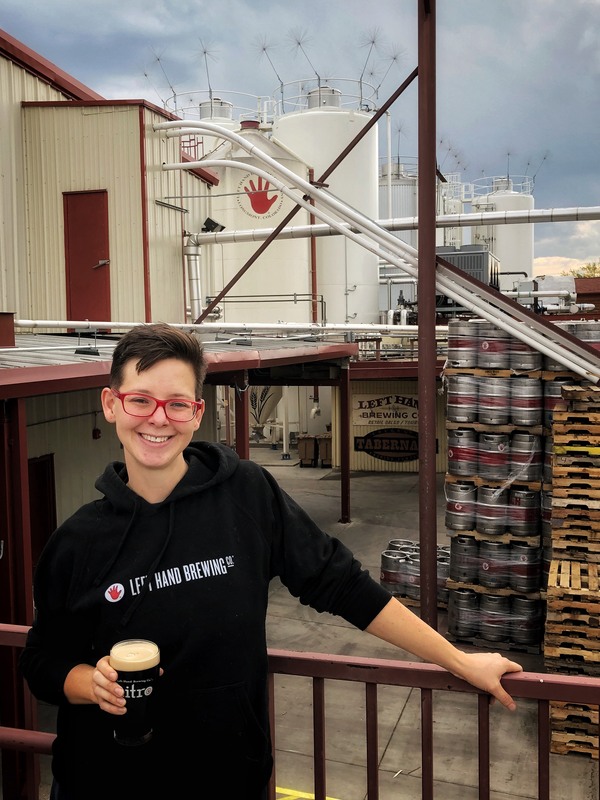 The Pink Boots Society is proud to announce that Cassidy VanWarmerdam of Payette Brewing Company is the recipient of the 2019 Bi-Annual Pink Boots Conference scholarship. 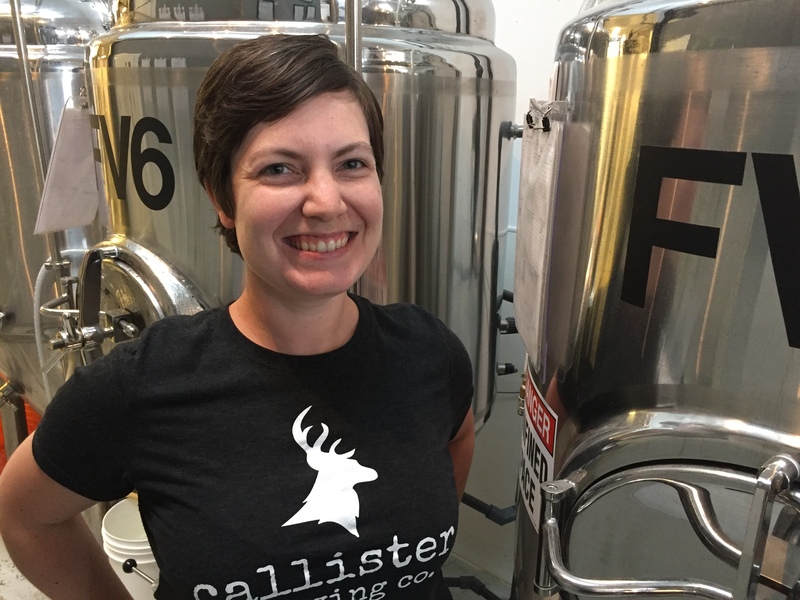 Cassidy has been employed by Payette Brewing Company since 2016, originally being hired as a beertender but through her hard work and willingness to learn has progressed to hold the position of Lead Quality Control. 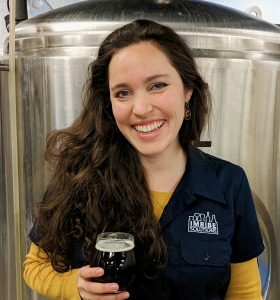 She says, “Being relatively new to the industry, I’ve found that my greatest weakness so far is my lack of resources for knowledge from other people in the brewing business.” By attending the conference she anticipates gaining knowledge that will make her a more valuable employee. The 2019 Bi-Annual Pink Boots Conference embodies the organization’s mission to assist, inspire and encourage women beer industry professionals to advance their careers through education by instilling attendees with hard takeaways and valuable knowledge along with invaluable networking with women working in all facets of the global beer industry. 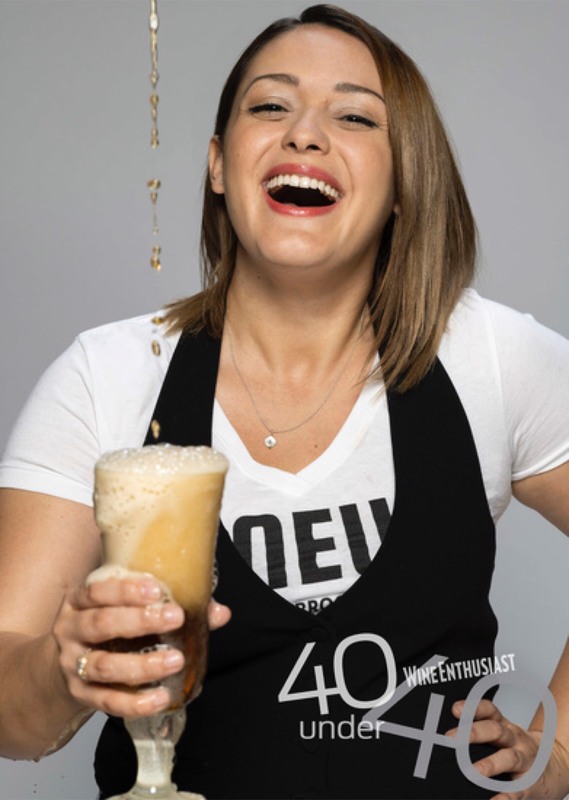 The conference will kick off with an inspiring and substantive industry keynote from the Brewers Association’s Julia Herz, followed by additional panels and presentations that will touch on: Beer Quality, Sensory, Raw Ingredients, Hot Side/Cold Side Processes, Diversity in the Beer Industry, Personal Goal Setting/Leadership, Advanced Social Media, Tasting Room Experience, Strengthening PBS Chapters, HR and more. In addition to attending the course, Cassidy will receive a Pink Boots embroidered shirt when she fulfills the Pay It Forward requirement associated with the scholarship. 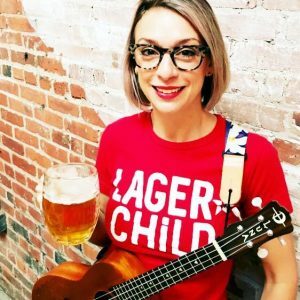 The Pink Boots Society is proud to announce that Meg Evans of Rock Bottom Brewery in Pittsburgh, PA is the recipient of the Portland State University Online Business of Craft Brewing Certificate scholarship. 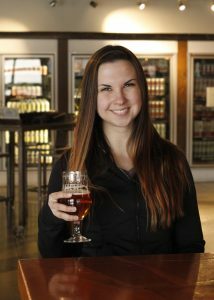 Chosen by the PBS Scholarship Selection Committee (SSC), five very experienced women beer professionals who hold positions as brewers, educators and writers, they selected Meg due to her well-written essay in which she communicated the areas she is currently lacking knowledge in, how the coursework will fill those gaps and what that knowledge will mean to her as she works toward her future goals. 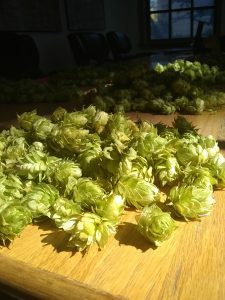 The Online Business of Craft Brewing Certificate focuses on the commerce skills needed to create a viable basic startup business plan to make a brewery efficient and profitable. 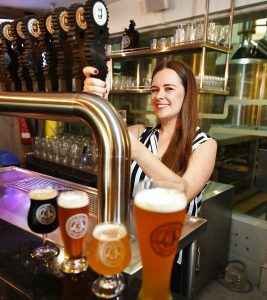 Students will be introduced to the various players and processes that go into producing and selling craft beverages, from growing grains and hops, to malting, brewing, distribution and retail environments. 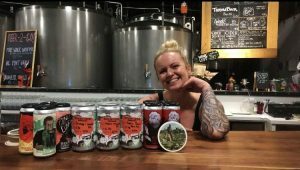 The courses in this four-course certificate cover different strategies, the associated costs of creating a craft beer and business models, culminating in an investor-ready business plan to present to potential backers, the craft beverage startup community and other potential business partners. In addition to attending the course, Meg will receive a pair of pink steel-toe rubber boots when she fulfills the Pay It Forward requirement associated with the scholarship. The Pink Boots Society is proud to announce that Johanna Foege of Perennial Artisan Ales is the recipient of the 2018 White Labs Yeast Essentials 2.0 scholarship. The White Labs Yeast Essentials 2.0 is a two-day workshop at the White Labs Asheville facility that will cover details on setting up a lab and quality control programs along with general lab techniques to improve brewing operations. 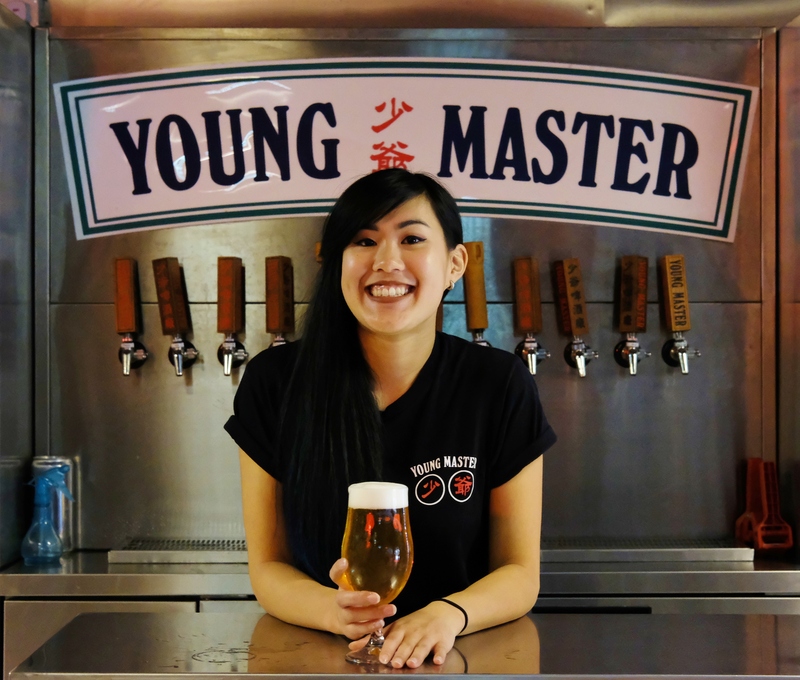 It will explore fermentation control points, how to maintain optimal yeast performance and develop desired flavor compounds, off-flavor detection, sensory of different yeast strains and troubleshooting problem fermentations. In addition to attending the course, Johanna will receive a pair of pink steel-toe rubber boots when she fulfills the Pay It Forward requirement associated with the scholarship. The Pink Boots Society is proud to announce that Jessie Smith is the recipient of North Dakota State University Institute of Barley and Malt Sciences Barley and Malting Quality: A Field to Brewhouse Perspective scholarship, a partnership with the Northern Crops Institute. Jessie is a lab technician at Texas’ oldest craft brewery, Saint Arnold Brewing Company, in Houston. 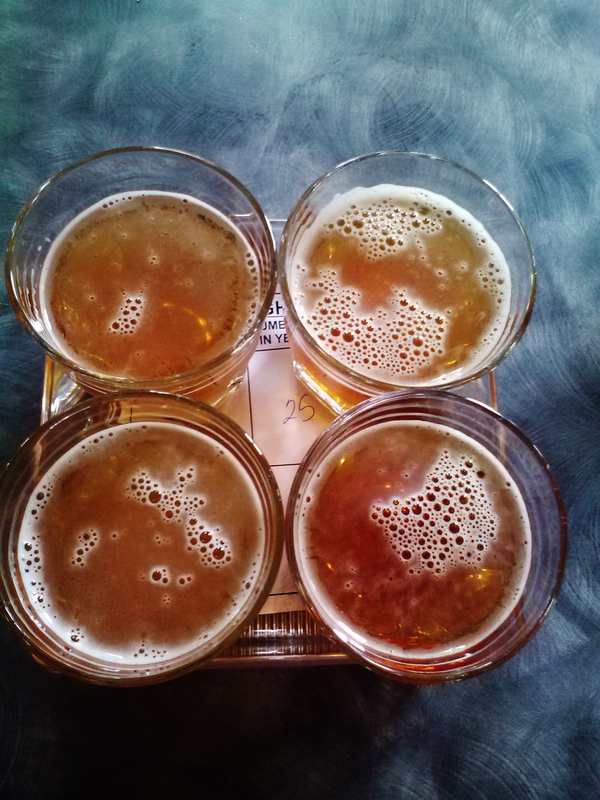 Barley and Malting Quality: A Field to Brewhouse Perspective is a four-day onsite course that will take place in Fargo, ND at the NDSU Northern Crops Institute. 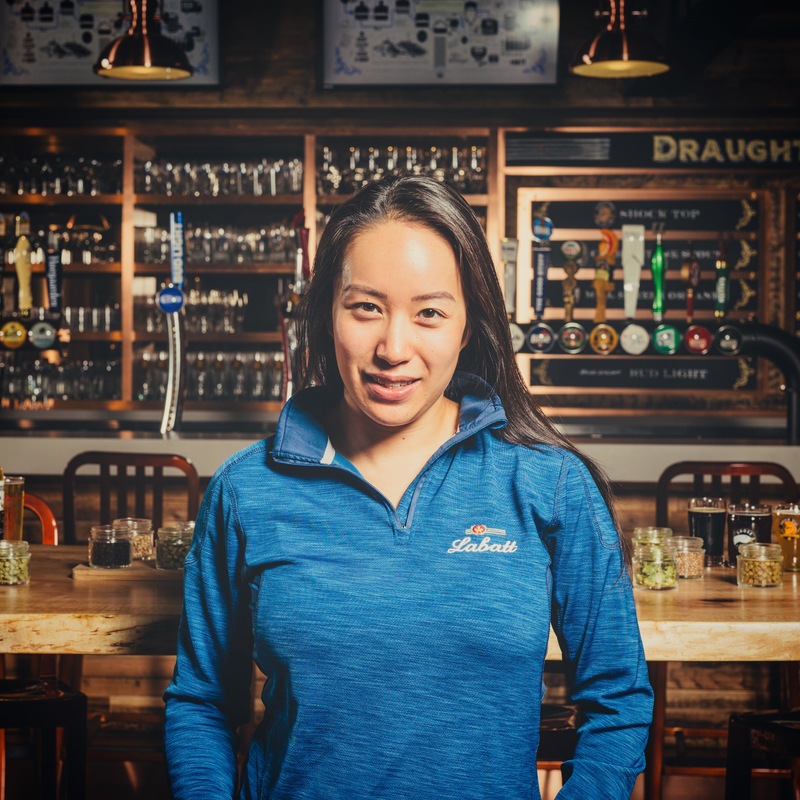 This course is intended to provide an intensive overview of the many factors impacting barley and malt quality from the field to the brewhouse. Lectures, discussion sessions and participatory laboratory demonstrations will provide participants with the knowledge to understand malt processing and to effectively interpret barley and malt analyses. This is an excellent opportunity to learn from a group of internationally recognized experts assembled from industry, academics and government. 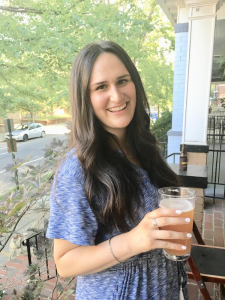 In addition to attending the course, Jessie will receive a pair of pink steel-toe rubber boots when she fulfills the Pay It Forward requirement associated with the scholarship. The Pink Boots Society is excited to announce and introduce the twelve ladies that have been selected by the PBS Scholarship Selection Committee (SSC) to receive a travel scholarship for the Beer, Brats and Beyond Cultural Exchange to Germany October 19 – 29, 2018. Hailing from the United States, Canada, Peru and Mexico, these twelve women run the gamut from new to the industry to those have considerable experience, some of which have opened their own breweries. Natalie Baldwin, Cassandra Barlow, Blair Elias, Grace Howard, Sara Lefevre, Betty Lopez, Katarina Martinez, Diana McKenzie, Becky Peppelman, Ellen Sherrill, Michelle Tham and Nicki Werner will be embarking on an eleven-day, co-ed insider’s tour of the Bavarian brewing industry that aims to foster relationships between North American and Bavarian breweries with sessions, tastings and tours with women brewers. 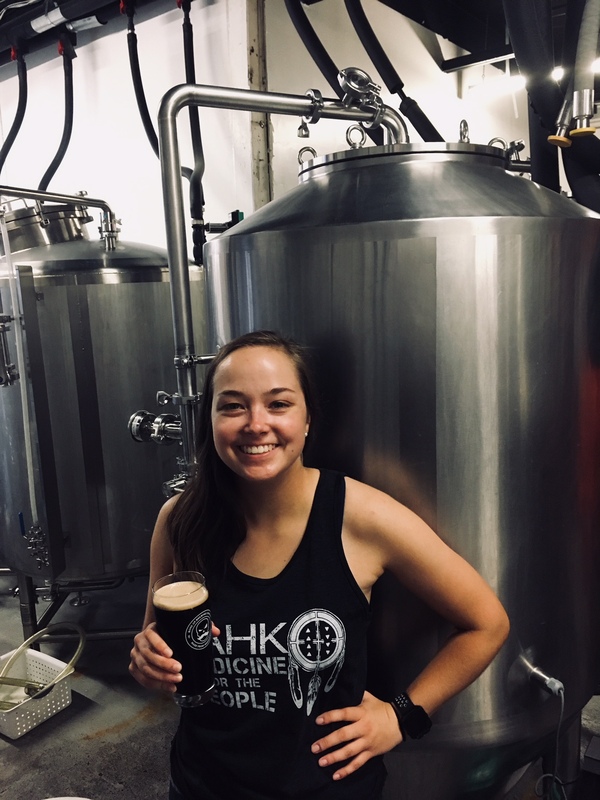 Natalie Baldwin, Research & Development Brewer at Breakside Brewery in Portland, OR., may have only three years’ experience in the brewing industry but her accomplishments in that time and her goals for the future stretch well beyond her years. 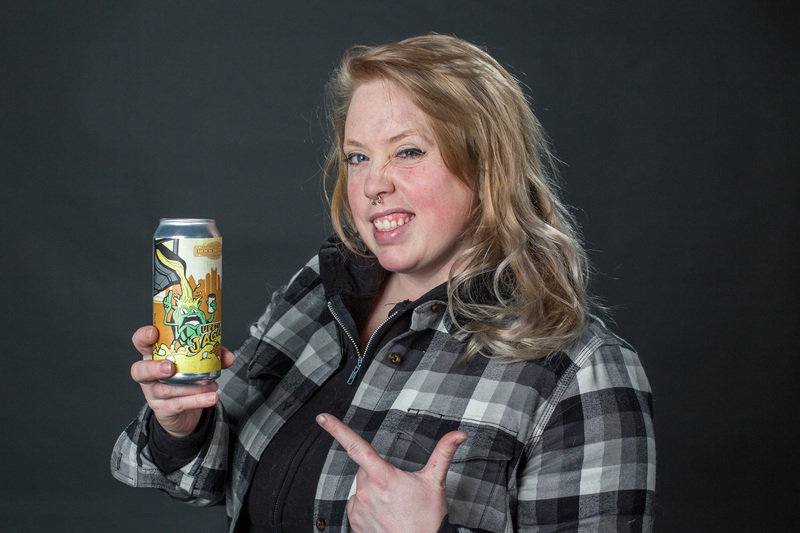 She says, “I find my interest primarily lies with traditional European beers, with a predominant focus on German lagers and Breakside’s R&D program is currently focused on lager brewing. 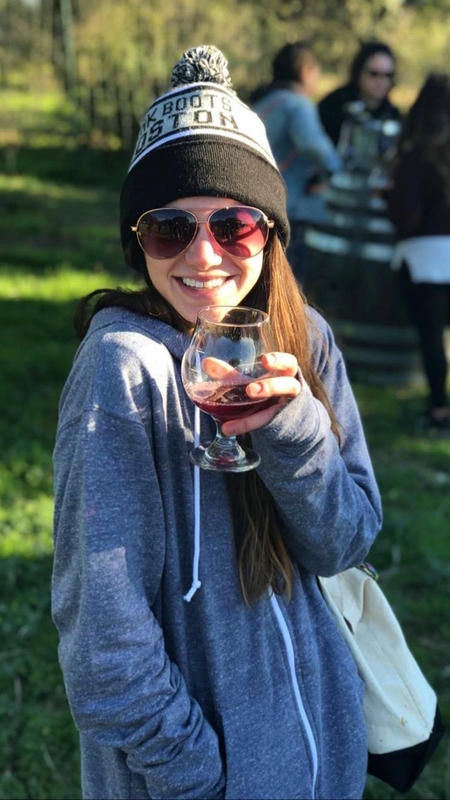 I’m honored to be in this position—but I also understand that my skill set can only be so thorough without being immersed in where it all began.” Taking part in the tour will help further her education in a way that will benefit both her and Breakside. 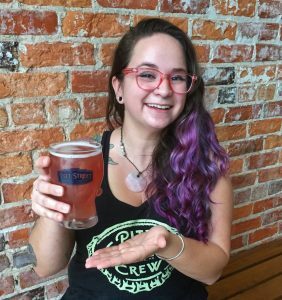 Cassandra Barlow comes to the group from the tap room/front of the house perspective, working for Resident Culture Brewing Company in Charlotte, NC. 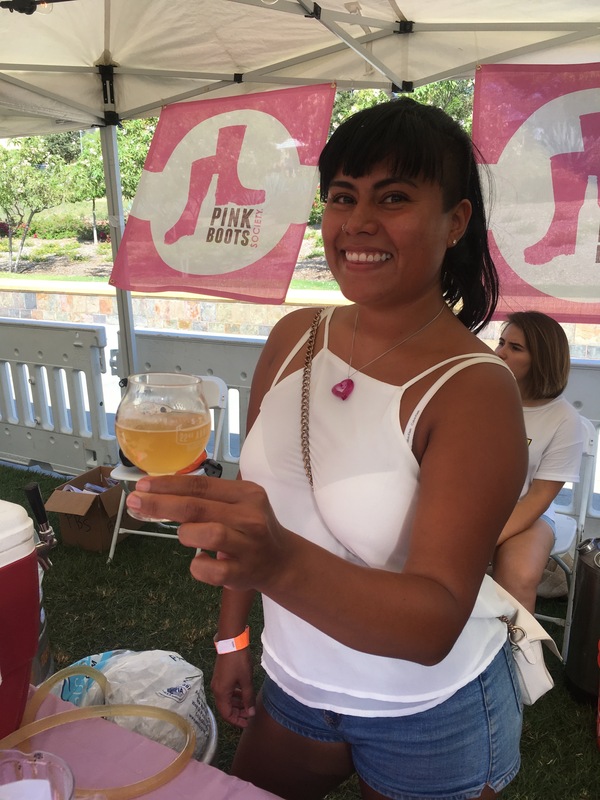 She was introduced to the Pink Boots Society while working as a part-time bartender and was initially intimidated about the prospect of being surrounded by much more experienced members of the industry. Her fears about having anything to offer were quickly dispelled upon attending the Society’s 10th Anniversary Conference. 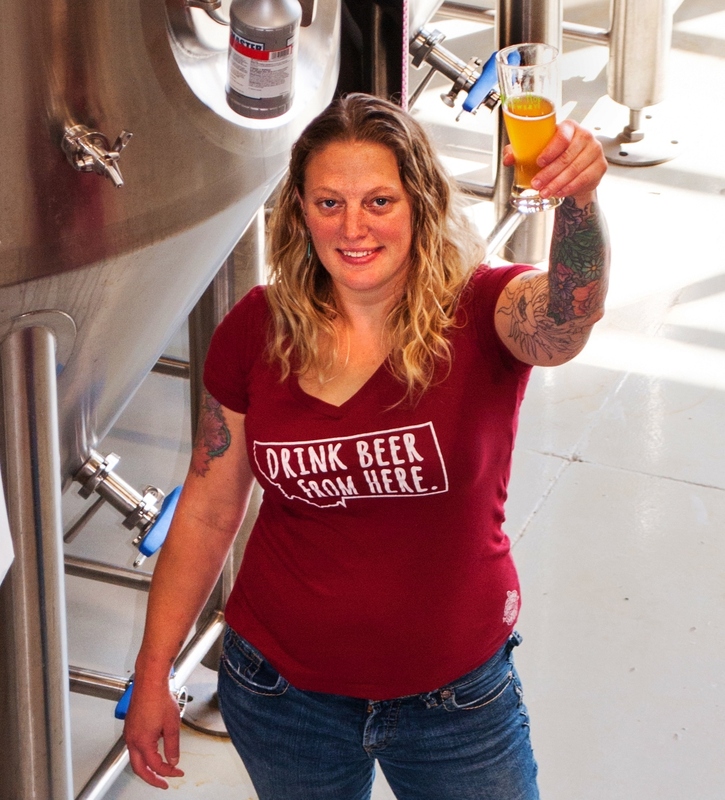 There she was particularly inspired by a presentation on tap room management, saying, “A light bulb went off; I realized that I had created my own loyal customers at the brewery I worked at and was a big part of our success.” Encouraged by this new found confidence she plans to take the knowledge gained on this trip to show other women, regardless of their current role, how important they are to the craft beer industry. Hailing from an event planning/fundraising/civic education background Blair Elias works as a meeting planner for the National Barley Growers Association. An area of particular interest to her on this trip is the hyper-local Zoigl beer of Bavaria as it parallels the local marketing employed by many U.S. craft brewers. 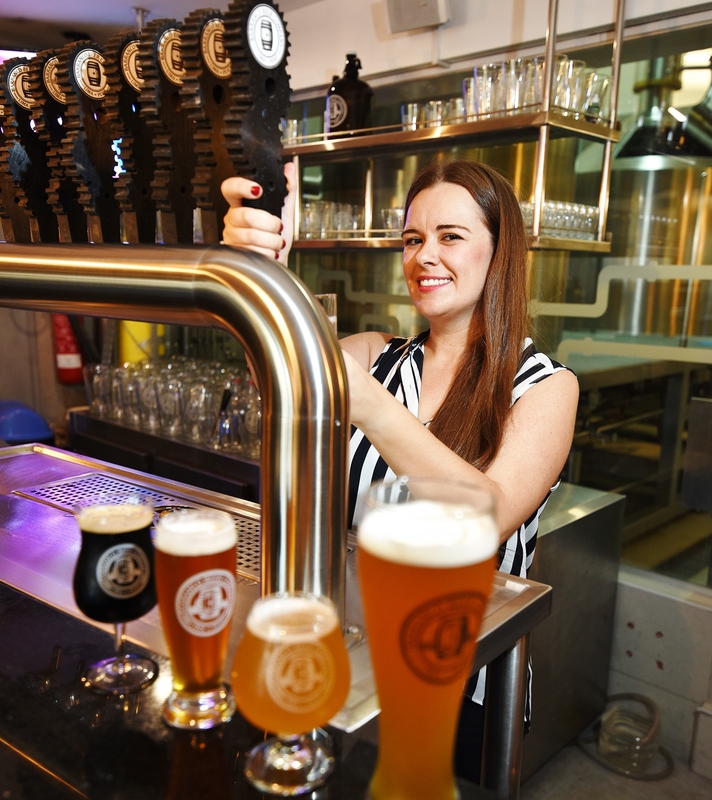 She says, “I am interested to see how Bavarian Zoigl brewers have sustained the “local” trend for so long. This knowledge would be invaluable to me as I continue my work as an advocate for the early stages of the U.S. beer supply chain.” Blair hopes to come back from the trip with a deeper understanding of the opportunities here at home by having been able to explore how German breweries have overcome similar struggles. 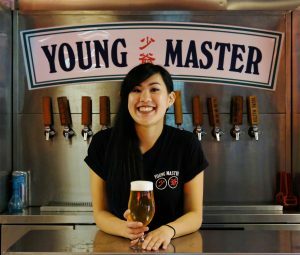 Betty Lopez understands first hand the challenges of breaking into the brewing industry but it has been worth the effort. “Brewing changed my life,” she says, “it gave a sense of purpose I wasn’t sure I’d find, it helped me find my place in the world professionally speaking and it made me grow as a human being.” Her break came when she found someone willing to give her a chance to learn on the job and she has since worked her way up from assistant brewer to brewer and has been the head brewer at Tres Fuegos Cerveceria for the past year. 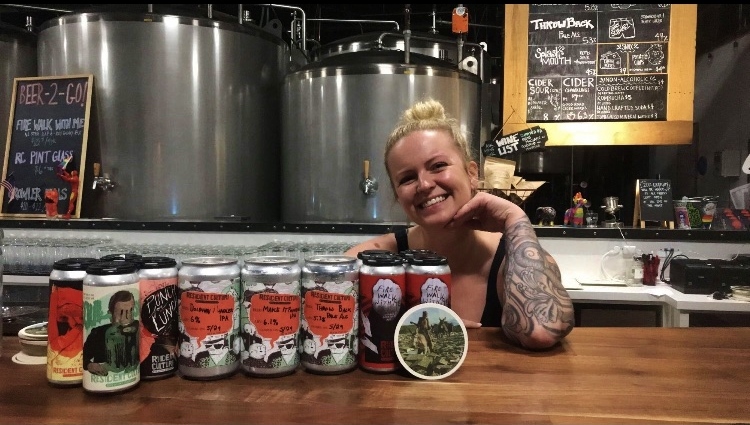 Experiencing traditional Bavarian beers in person on the tour will help her in the short term as Tres Fuegos looks to add a lager to their lineup and perhaps in the years to come through if she is able to achieve her goal of working at a German brewery. Former software engineer Katarina Martinez left the corporate world a year ago and opened her own brewery – Lineup Brewing – which has the distinction of being the only solely female owned and operated brewery in New York City. Their German Pilsner, originally named Bieryonce, received a great deal of press, and ultimately a cease and desist letter, so these days the beer goes by the name “Katarina.” With the intention to make more German style beers in the future she says, “I feel that this trip to Germany will do wonders for expanding my knowledge base, improving my palate, and hopefully making new strong female friends in the industry that support one another.” Katarina was also given Wine Enthusiast’s 2018 “40 Under 40” award. 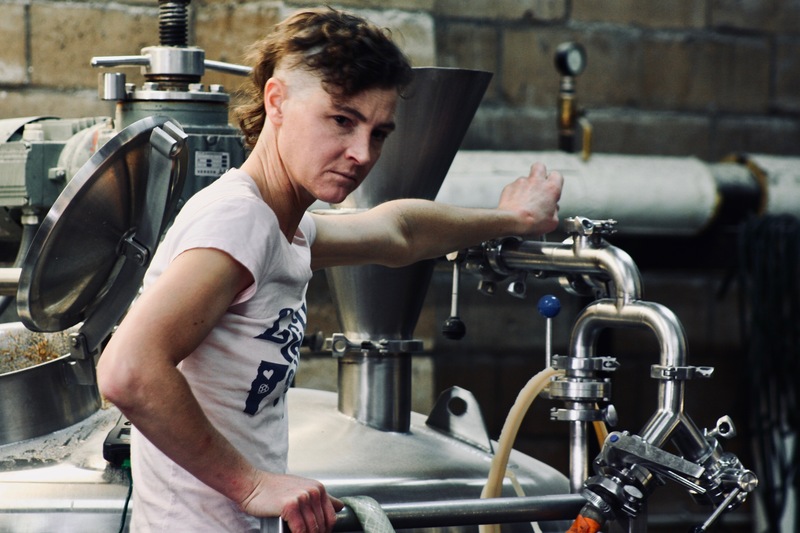 One of the most seasoned professionals on the tour, Becky Peppelman says that from the time she started cleaning kegs and working on the bottling line, “The more I learned on the particulars of craft beer, the greater my drive became to be a part of it. It was, and remains, a true passion and hunger for knowledge.” In recent years she has been drawn to historical styles of beer and has been able to use her role as Head Brewer at Snow Hop Brewery to produce styles, like the popular Grodziskie she made last year, that are not widely available in the U.S. 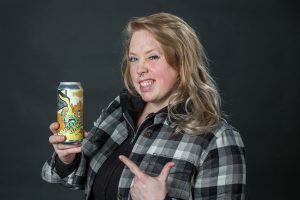 This tour will add to her already accumulated knowledge and allow her to continue share more of the “exceptional characteristics” of beers of times past with her brewery’s craft beer audience. Michelle Tham is employed by the largest of breweries in this group, Labatt Breweries, where she is the Head of Education. The Ontario, Canada native says, “Stories are my strength. Storytelling is where my breadth of knowledge and dynamic enthusiasm are brought to life, enabling my impact as an educator of beer and an ambassador for brands. 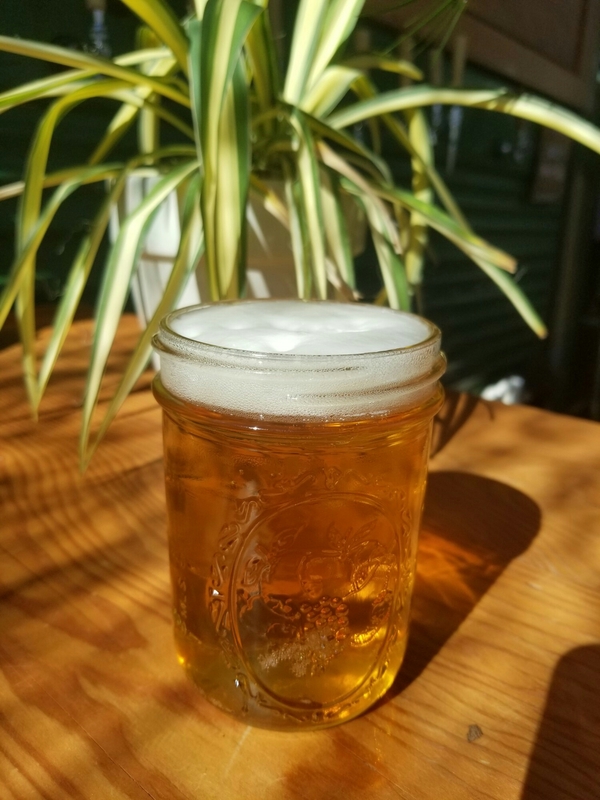 Lucky for me, the roots of beer and brewing are found in stories – stories of history, tradition, geography and discovery. My effort to develop my career has been to seek stories and connections with people who brew and appreciate beer, and seeing the places that allow me to paint the picture for others to better understand the complexities and joy of beer.” She’s looking forward to being able to add a more robust understanding of German beer to her work as an educator as a result of going on the tour. Nicki Werner, brewer at the mid-sized Left Hand Brewing Company in Longmont, CO, is excited to embark on her first trip abroad, especially in the company of the Pink Boots community. The former college professor says, “My teaching experiences left me frustrated and confined to old institutions that were bogged down in bureaucracies and incapable of adapting to a changing world with changing needs. 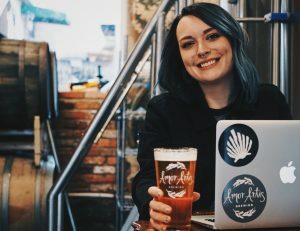 What I found in brewing was an opportunity to build new types of institutions, and a lifestyle that was self-sustaining, both for the business and for myself on a personal level.” While her work environment is competitive it encourages her to strive for growth opportunities and she has found a great deal of support as a member of the Pink Boots Society. In addition to attending the tour, each scholarship recipient will receive a pair of pink steel-toe rubber boots upon fulfilling the Pay It Forward requirement associated with the scholarship. 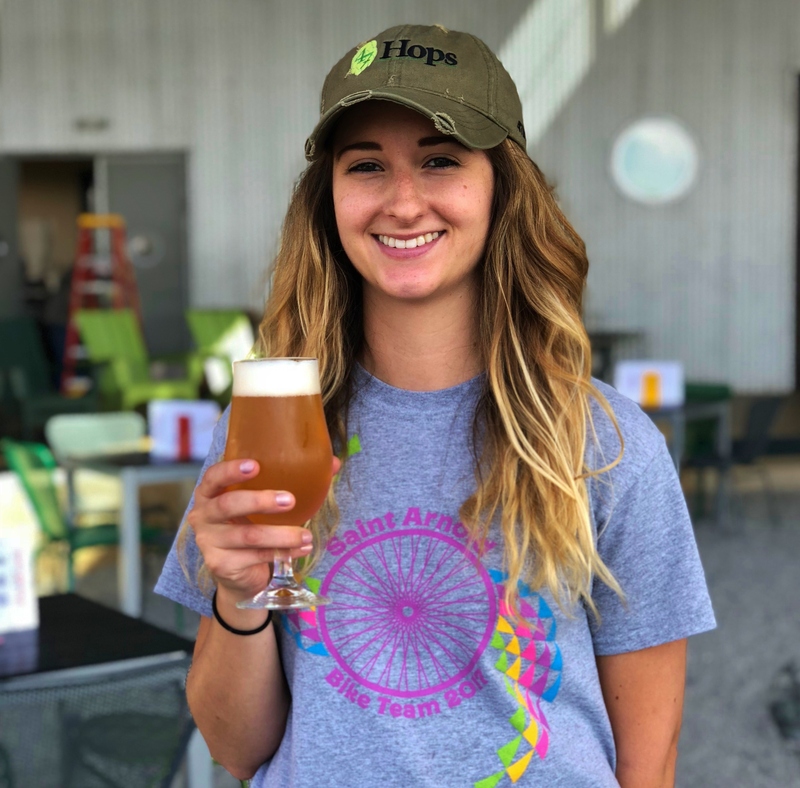 The eleven-day Beer, Brats and Beyond Cultural Exchange, a collaboration with Treasures of Europe Tours, will make stops at small and independent breweries located in towns such as Munich, Franken, Spalt and Niederbayern. 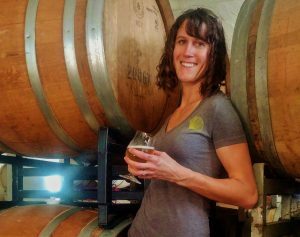 It will highlight many women owned and/or operated breweries (Sister Doris, Meinel sisters), communal brewing traditions, new school craft producers and a few abbey breweries. 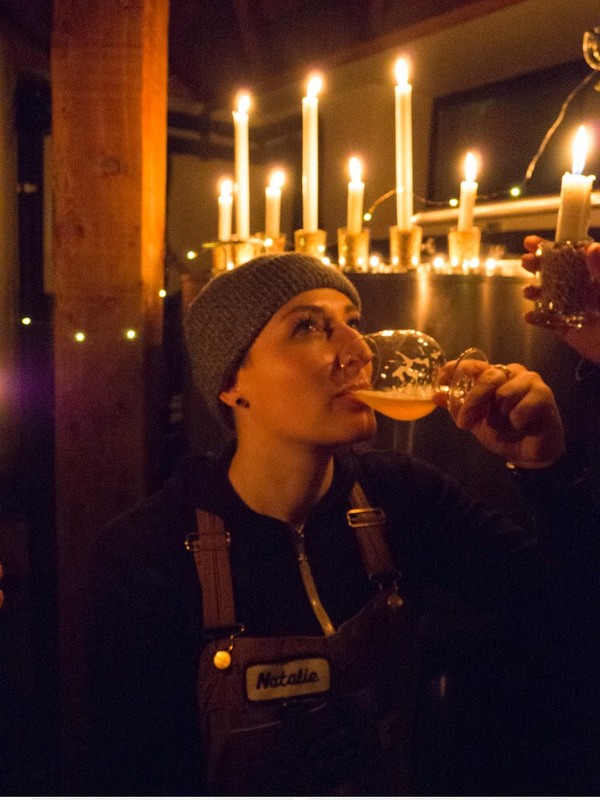 The tasting sessions, tours and cultural events aim to deepen and enhance the participants’ knowledge of brewing traditions and technologies as well as dispel old stereotypes. In addition to the breweries, stops will be made at German hop farms in the heart of Hallertau where participants learn about the traditions of Noble hops.